Yeah!! I’m finally caught up with my Aurifil BOM blocks … just in time for the next free block to be released tomorrow. Happy Dance!! I’m loving the fun and bright colours of these blocks. The fabric is from an older line called Treasures and Tidbits. 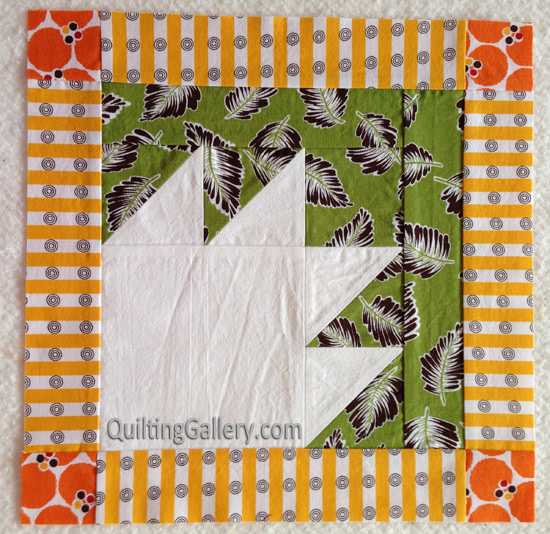 I have several fat quarters and scraps from another project left-over that I’m using. March block, designed by Emily Herrick. Download the free block tutorial here! The April block was designed by Angela Yosten. Download the free block tutorial here! 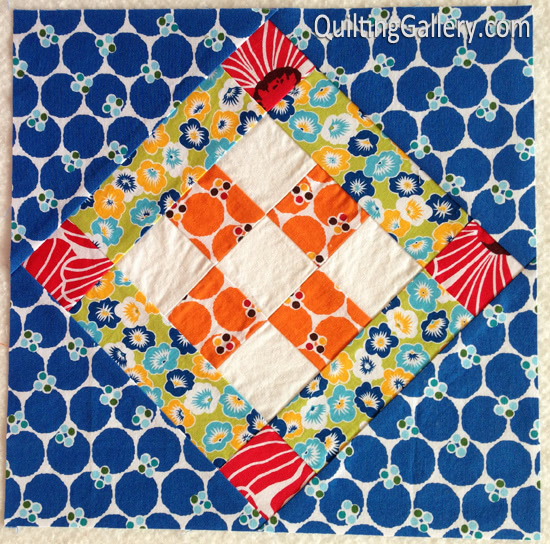 The May block has been designed by Amy Smart. Download the free block tutorial here! 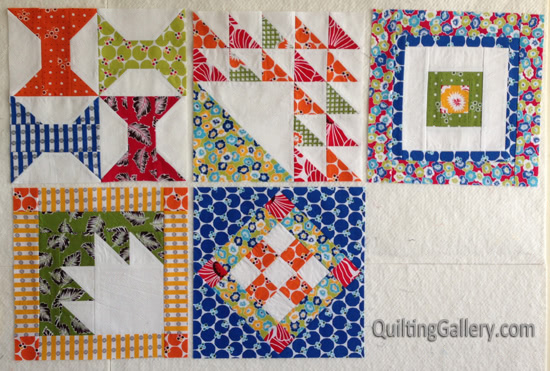 If you are making the blocks, be sure to upload to the Aurifil Flickr Group your May block before the end of the month to be eligible to win a box of gorgeous Aurifil threads. A $120 value .. given away each month! Waiting patiently for the June block! LOL!! I’m the August designer, so I better get the idea in my head drafted and tested soon too. The first two blocks are here: Block 1 and Block 2. Download links are available underneath the designers’ stories. Just wanted you to know I love your site. 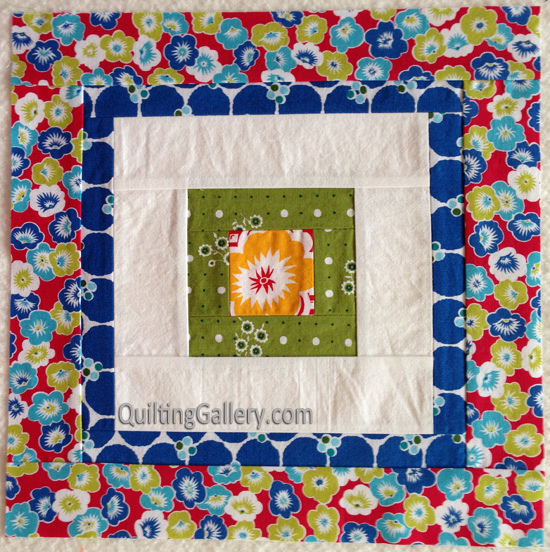 Also your link to the Aurifil block 2 above takes you to January again, not February. Thanks Ramona, I’ve updated the link.